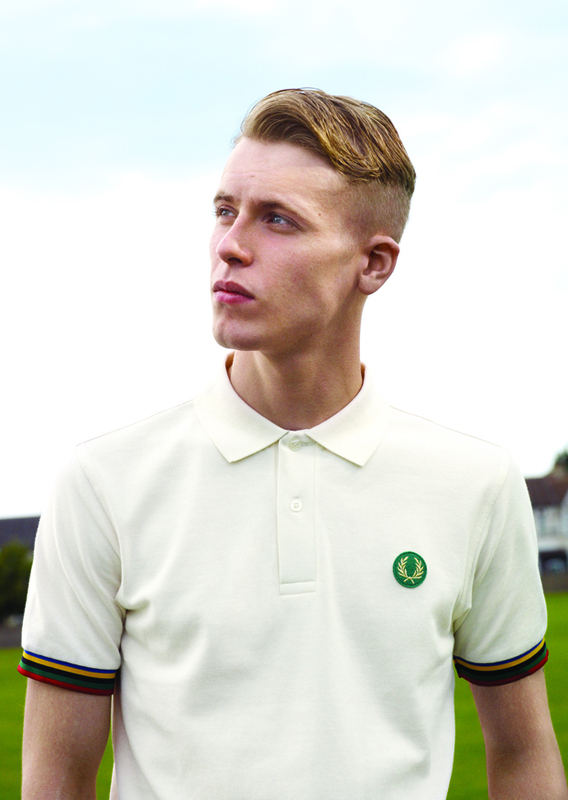 Last week, Fred Perry launched ‘The Champions Kit’, their collection pulling out some of the styles worn by leading athletes at a time when Fred Perry were head of the sportswear game. 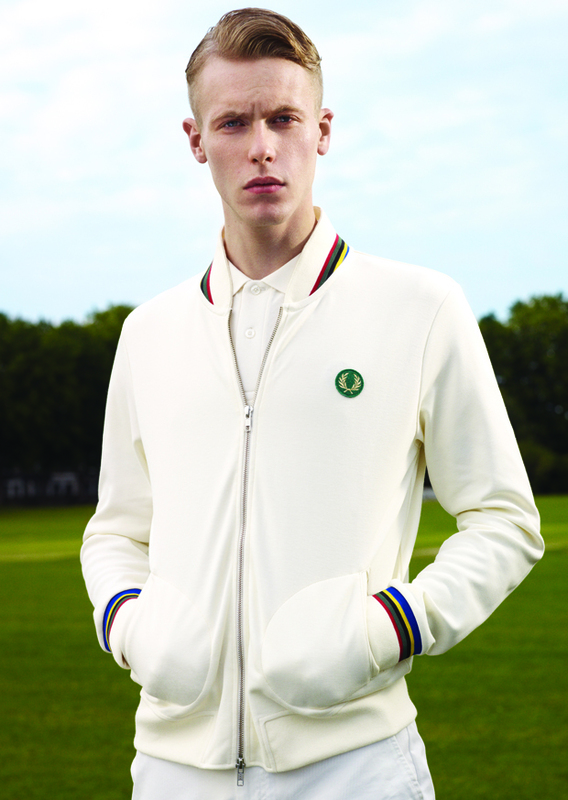 The entire collection focuses itself around their ‘Champions’ taping, which is essentially stripes in the colours of the olympic rings. 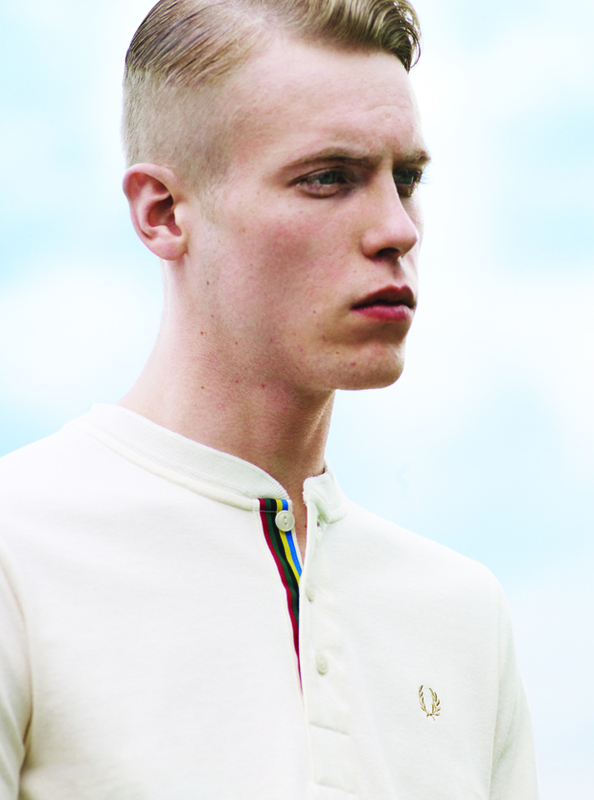 Keeping things pretty classic, the collection boasts a track and field bomber jacket, a Henley collar t-shirt and a polo shirt coming in both ecru and black. 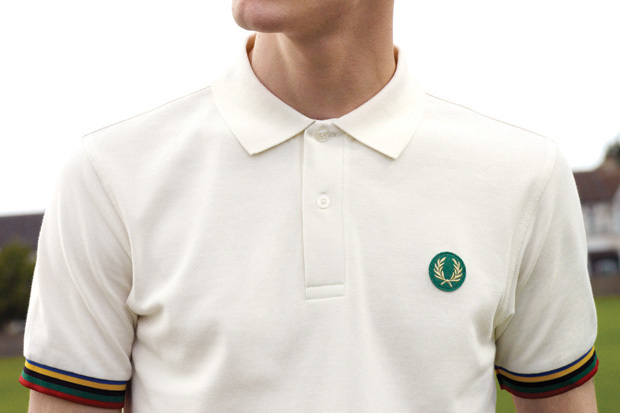 Each piece has a gold embroidered Laurel Wreath and the polo’s set this atop a privet felt patch. 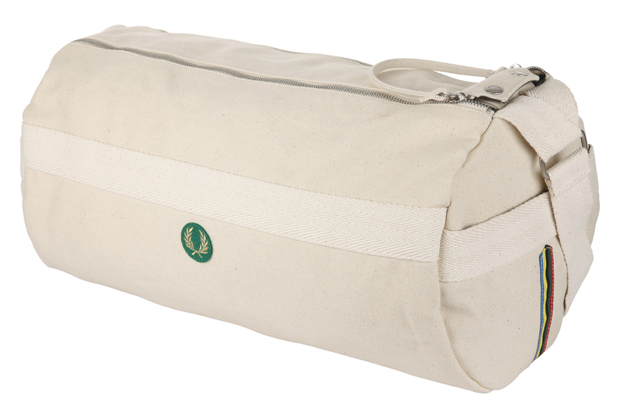 The collection also plays host to a deconstructed barrel bag and Fred Perry’s Beresford Canvas shoe getting the ‘Champions’ treatment. 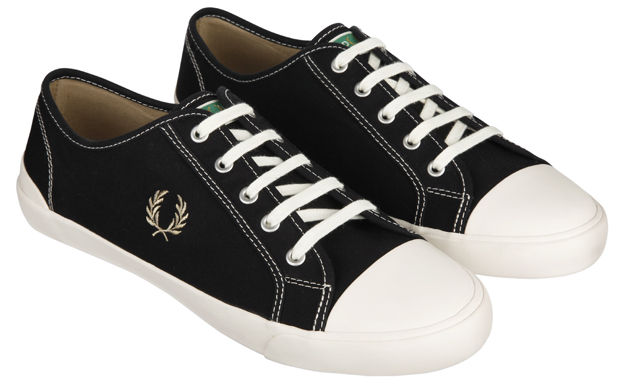 If I’m honest, I’ve never been a fan of Fred Perry’s footwear and I’m not too sure why. 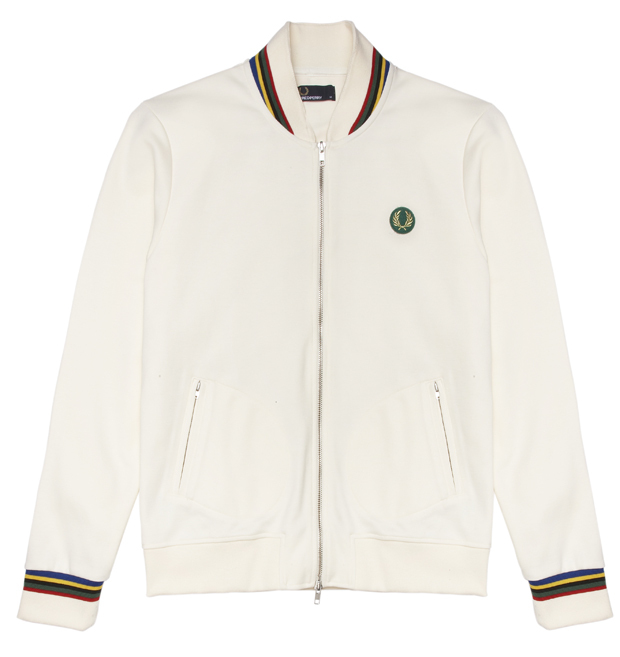 I guess it’s just something that has never quite gelled with me, but I think the ‘Champions’ treatment works well against the Ecru canvas especially. 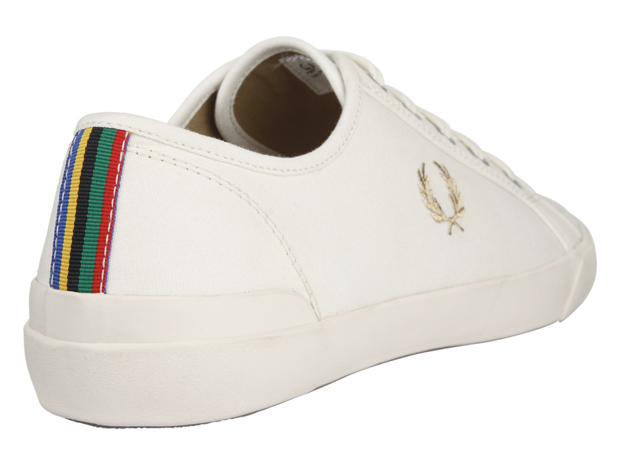 I’m sure there are many of you out there who love their footwear and for me these are the best they’ve put out, so snap them up. 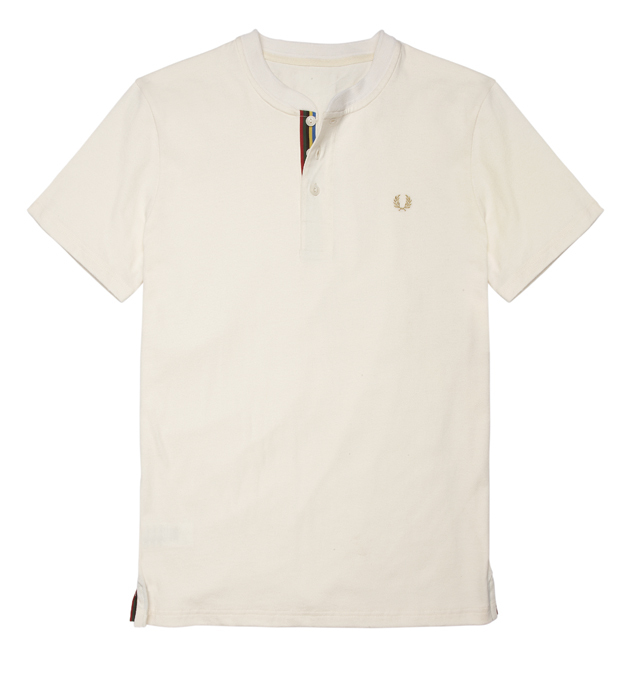 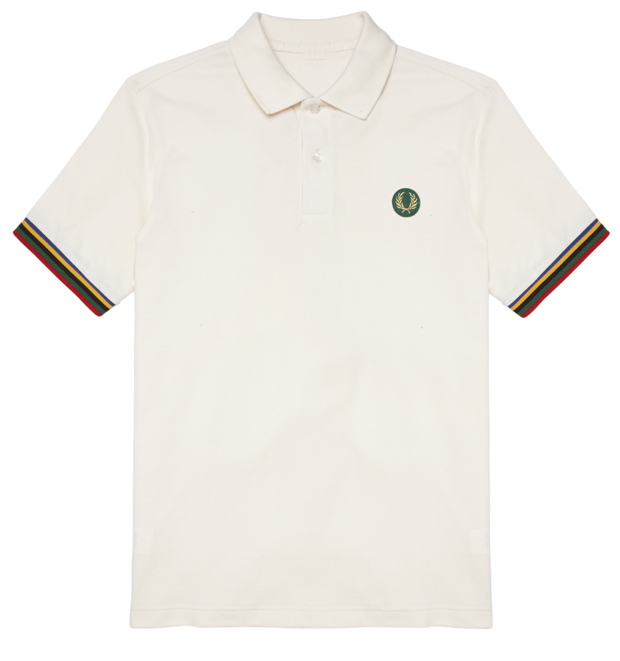 All the pieces are available from Fred Perry now, and with Wimbledon just around the corner it’s a pretty good excuse to pick something up.